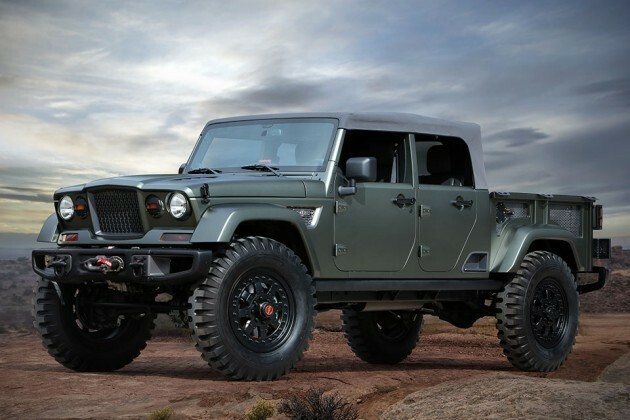 If you find your Jeep looks a little mundane or too much like your neighbors’, you can always turn to Mopar for customization ideas, as Jeep and Mopar has demonstrated, yet again, with seven concept vehicles built for the 50th Annual Easter Jeep Safari. The event will be held at Utah on March 19-27, 2016. So, if you need some customization inspirations, Easter Jeep Safari is the place to hit up. Noticed we said ‘inspirations’? Because not all the stuff you see on the seven vehicles will be available. 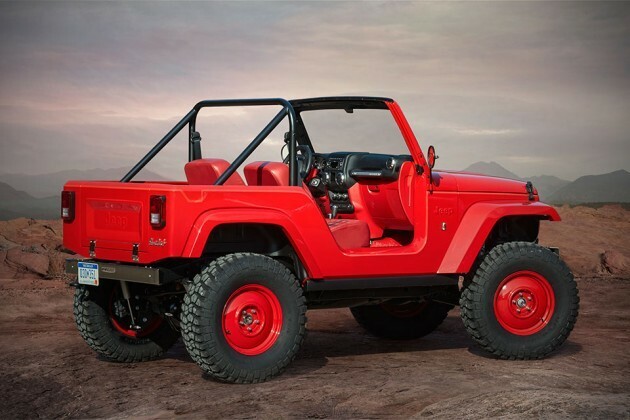 The crop of Easter Jeep Safari concept vehicles uses both production and prototype Jeep Performance Parts developed and built by Mopar. Naturally, all the stuff you will be seeing are designed with off-roading in mind. 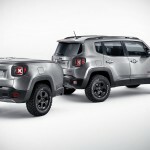 The seven concept vehicles include legendary Jeep military service vehicles-inspired Jeep Crew Chief 715, 50s Americana-inspired Jeep Shortcut, an ultimate off-roader Jeep Renegade Commander, off-road ready practical utility Jeep Comanche, a true American workhorse Jeep FC 150 concept, a HEMI Hellcat V8-powered Jeep Trailcat, and the “ultimate Jeep Wrangler” known as Trailstorm. 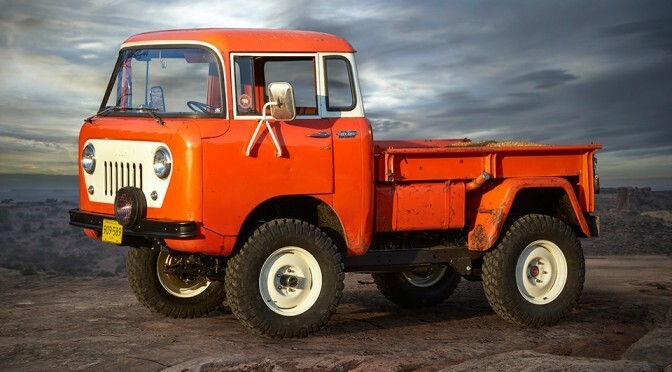 Our favorite has got to be the 1960 Jeep FC 150 Heritage Vehicle. Why? Because it is truck pulled straight from the 60s, which makes it totally awesome. While heritage Jeep has an original steel body, beneath is an entirely different story; this grandpa of Jeep is powered by a 4.0L PowerTech I-6 motor, mated to a 3-speed automatic gearbox and sits on a 2005 Jeep Wrangler chassis modified to fit a Dana 44 front axle, Dana 60 rear axle and 17-inch white steel wheels, shod in 33-inch BFGoodrich Mud-Terrain T/A KM2 tires. It retains the full-length cargo box and on the inside it gets vinyl seat covers, custom headliner in vintage duck hunting pattern wrap, CB radio, analog compass, and Mopar all-weather mats. 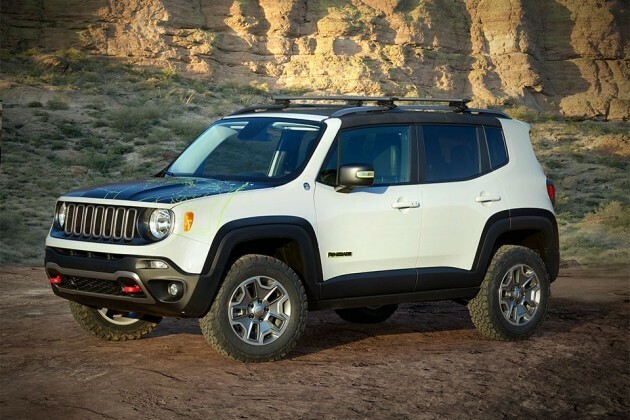 Though we are not as thrill over the Jeep Renegade Commander, but it does have a myriad of Mopar and Jeep Performance Parts, including a 2-inch life kit, 17-inch Rubicon aluminum wheels paired to 29.5-inch BFGoodrich All-Terrain T/A KO2 rubbers. It also touts MySky open-air roof with removable panels, custom body decal, Mopar off-road rock rails, skid plates, Mopar hitch receiver, front and rear auxiliary lights, and a modified exhaust. The interior also received its due sprucing up with stuff like Katzkin seat covers, body color bezel accents, a pedal kit, Mopar off-road kit and of course, Mopar all-weather floor mats. Power from a 2.4L Tigershark engine with MultiAir2 is put to good use through a 9-speed automatic gearbox with Jeep Active Drive Low. 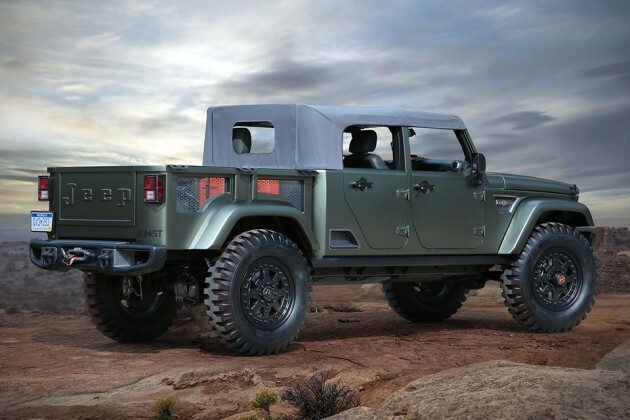 If you love all-thing military, then we bet you will be all-over the Jeep Crew Chief 715, which was homage to the legendary military service vehicle, Kaiser M715. 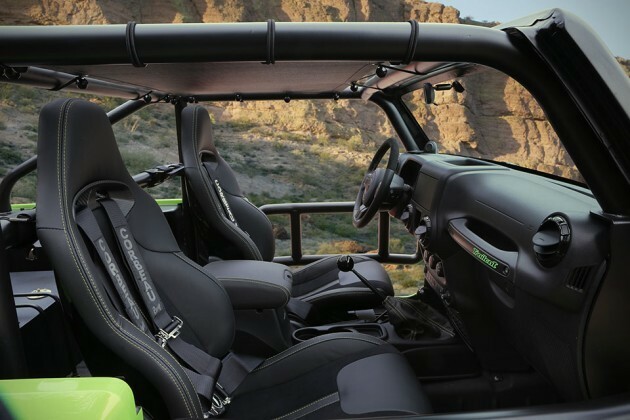 Based on the open-air Wrangler Unlimited provides you with the benefit of rear seat and extra doors, while evoking the spirit of the M715 with features like steel front and rear bumpers, and 20-inch beadlock wheels wrapped in massive 40-inch NDT military tires. Also included are on-board air system with a hard-mounted quick disconnect fitting for airing up or lending assistance to other vehicles, as well as master cylinder brake upgrade, cold air intake and a modified exhaust. Other exterior highlights include off-road rock rails, winch mounted front and rear bumpers, Dana 60 front and rear axles, 4-inch lift kit with Jeep Performance Parts/Fox 2.0 Remote Reservoir shocks, custom modified M715-inspired front-end, military-themed 5-foot cargo bed, and wrapping up with a tactical green paint job. 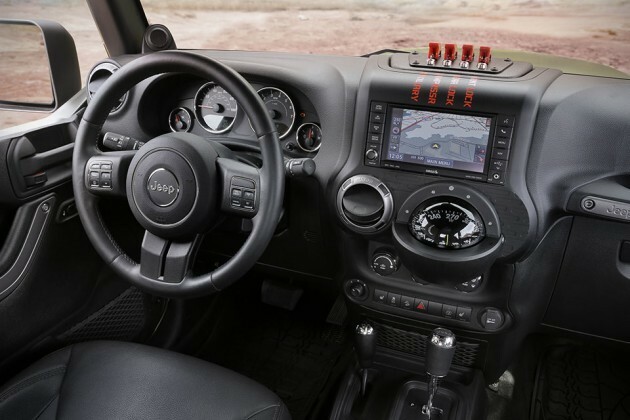 The interior boasts leather bucket seats with canvas inserts, aircraft-inspired control switches (don’t ask me why), media center with navigational compass and all-weather mats from, who else? Mopar, of course. Driving the modern day M715 is a 3.6L Pentastar V6 unit, mated to a five-speed automatic transmission. 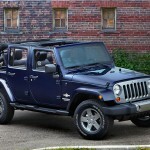 If you ask us, we’d say the Jeep Shortcut is the coolest looking among the seven. 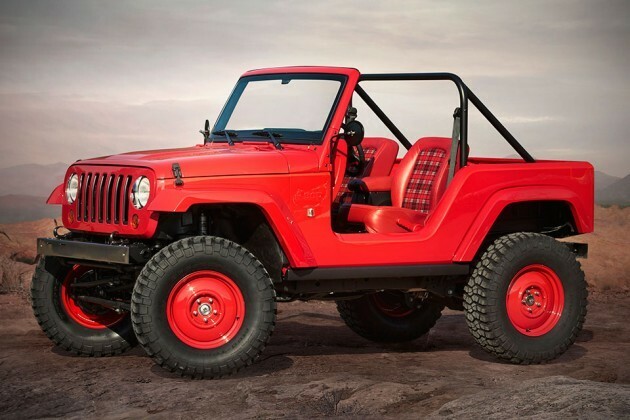 Rocking the iconic Wrangler look and draped in an alluring red paint job, the Shortcut is already driven by a 3.6L Pentastar V6 unit, paired to a five-speed automatic gearbox. It embodies the spirit of the 1950s Americana with a shortened body, while maintaining simplicity and functionality. The exterior boasts a unique grille, hood, tailgate, front and rear wheel flares, along with custom chrome front and rear bumpers cos’ it is supposed to be the 50s, right? Other exterior visual details include a modified exhaust, 17-inch red steel wheels and 35-inch BGGoodrich Mud-Terrain T/A KM2 tires. Shortcut is also outfitted with off-road worthy Dana axles, a 2-inch lift with Fox shocks and has its overall length tried by 26 inches for the sake of weight-saving and maneuverability. 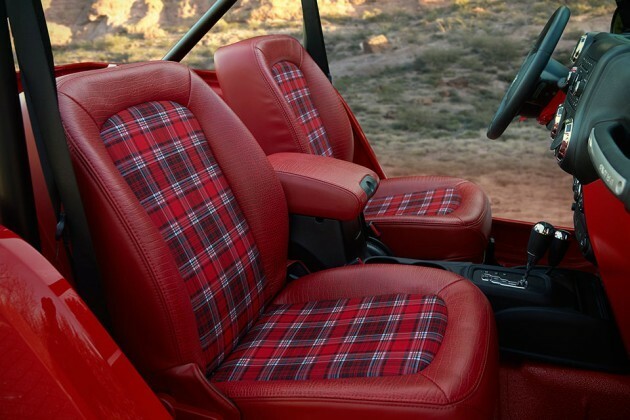 The interior features low-back leather bucket seats with plaid inserts, a red ball shifter handle, four-point safety cage and rounding up with Mopar all-weather mats. 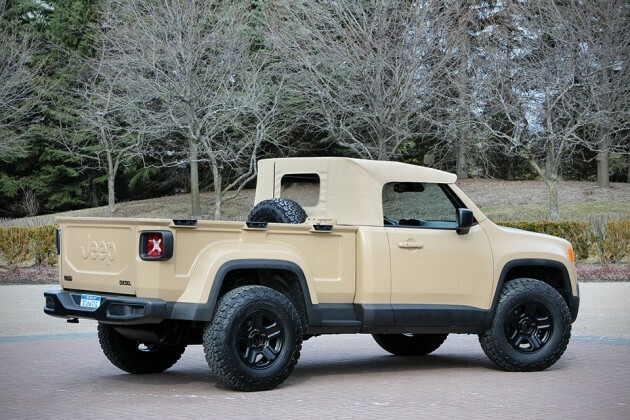 Jeep Comanche is another military-inspired concept, driven by a 2.0L I-4 diesel, coupled to a 9-speed automatic gearbox with Jeep Active Drive Lock that boasts low range and a locking rear differential, handy for getting out of nasty situations. 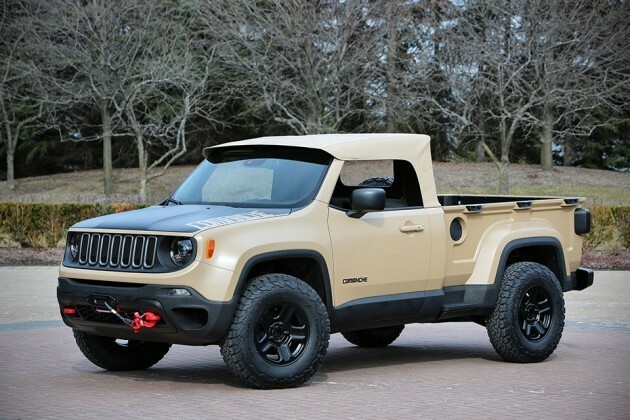 It is dressed in a sand paint scheme accented with satin black hood and features a concept lower front fascia, winch, steel rear bumper, soft top, spare tire in the 5-foot bed, and boasts a stretched wheelbase that adds an additional six inches to the stock Renegade. Off-road performance is enhanced with off-road rock rails, a 2-inch lift kit, a winch system, and rounding up with a set of 16-inch painted wheels with 32-inch BFGoodrich All Terrain T/A tires. On the inside, you will find custom seat covers, pedal covers, door sill guards and again, Mopar all-weather mats. 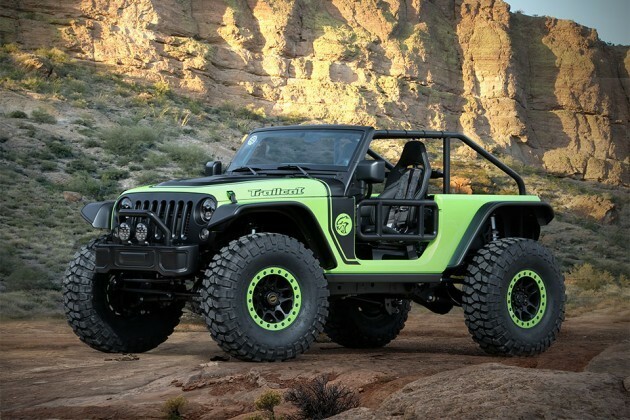 And then there’s the Jeep Trailcat which, as the model name suggests, is a beast among the seven concept vehicles. Seriously, the power plant alone is enough to knock anyone’s socks off; buried under the green and black hood is a supercharged 6.2L HEMI Hellcat V8 motor that puts out a crazy, probably off-road forbidden, 707 horsepower. Yep. That’s the motor from, well, the Hellcat, but that monstrosity has found its place in a Wrangler, transforming it into a off-road beast. And it gets a 6-speed stick shifter too, topped with a custom shifter ball that features an embossed Hellcat logo. We have no doubt it will leave everything else in a cloud of dust – so long, you have the skill to tame it. The Trailcat sits on a wheelbase stretched by 12 inches, while a two-inch short windscreen complete the sleek look. 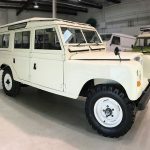 Other exterior and performance bits include a power-dome vented hood, Satin Black grille, LED headlamps and fog lamps, rock rails, steel front and rear bumpers, Dana 60 axles, Fox shocks and 17-inch beadlock wheels, shod in ginormous 39.5-inch BFGoodrich Krawler T/A KX tires. The seats here deserve some mention; they are of Dodge Viper-sourced sport bucket seats in carbon fiber and Katzkin leather seat covers with accent stitching, to consummate the sport look. 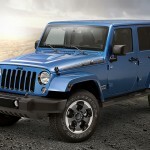 If the Renegade Commander looks conventional, the Jeep Trailstorm would be the second more conventional looking. Pardon us for our honest opinion. It really doesn’t present itself as conventional in anyway. Not that it is not nice, but it just not up there with the rest of the five. 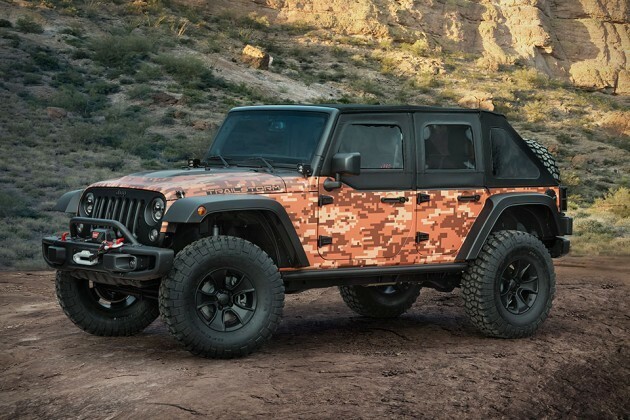 Aesthetic aside, it does offer the room and the possibility of extra fuel tanks for extended off-road expedition and oh, the camouflage wrap there looks more suited for duck hunting season. Like the 715 and the Shortcut, it also moved by a 3.6L Pentastar V6 engine, which is also paired to a 5-speed auto gearbox. Off-road capabilities are further enhanced by 17-inch concept off-road wheels coupled to 37-inch tires, a 2-inch lift kit with Jeep Performance Parts/Fox shocks, Jeep Performance Parts Rubicon winch, and Dana 44 axles. It also gets half doors, redlined interior, winch guard, Satin Black grilled, LED headlights and fog lights, high top fenders, power-dome vented hood, Mopar off-road rock rails with a step, Big Brake kit, a concept fastback soft top, tail light guards, a Mopar fuel filler door, steel front and rear Rubicon bumper, Jeep Performance Parts tire carrier, Katzkin covered seats and all-weather floor mats, courtesy of Mopar. As mentioned, the seven concept vehicles will be appearing at the Easter Jeep Safari at Utah, happening between March 19 and 27, 2016. No words on the pricing of the performance parts at this point, though.